But running promos isn’t as simple as slashing prices or putting up a “SALE” sign on your window. To get the most out of them, you need to consider the type of promotions to offer as well as how to execute them. And that’s precisely what we’ll talk about in this post. We’ve compiled the most common types of sales promotions in retail along with some handy tips to help you implement them correctly. What kind of promotion would work best for your store? To help you answer that, here’s a rundown of the different types of promos in retail, and how they typically perform. The percentage off deal (e.g. “20% off” or “50% off”) is one of the most popular — and effective — types of promotions. Krista Fabregas, a retail analyst at FitSmallBusiness.com, is also a fan of percentage discounts and says that they produce one of the highest conversions for discount promotions. It’s difficult to tell whether this offer is better than percentage discounts, as studies and tests have shown mixed results. Krista at FitSmallBusiness found that percentage discounts typically outperform dollar amount deals. However, Craig Simpson at Entrepreneur cites a study which found that a $50 off coupon beat a 15% off promo. This tells us that the “right” answer depends on your price points, customers, and the perceived value of your offer. Let’s say your product is something fairly inexpensive, like a supplement that regularly sells for $25 for a bottle that contains a one-month supply. I would predict that an offer for 40% off would do much better than an offer of $10 off, even though the actual value of the two offers is equivalent. For a more expensive product, perhaps a piece of exercise equipment that normally sells for $350, I would predict that an offer of $50 off would do better than an offer of 15% off – even though the 15% offer is actually slightly better. The $50 offer sounds like a substantial amount of money. And for most people, figuring what 15% of $350 is may seem like too much work. If you’re on the fence between a percentage or a dollar amount discount, we recommend that you do the math AND look at your promotion from a psychological standpoint so you can figure out the best type to implement. Buy One Get One (BOGO) is another common one. This promotion can be applied in two ways: There’s buy one get one free or buy one get the 2nd item % off. BOGO is typically used to move inventory, so if you’re sitting on a lot of stock that you want to clear out, this promotion could be a good option. Multi-buy promotions (i.e., “2 for the price of 1”) is another good option if you want to clear your inventory. But the success of multi-buys largely depends on the types of products you sell. As Krista puts it, “when considering a multiples-type promotion, first consider whether the product is normally used as a set or is a near-commodity, like socks or wine. There, multiples discounts can work. Otherwise, they don’t. Buy and save off the entire sale. Spend and save off the entire sale. Buy and save off specific items. Spend and save off specific items. Buy and pay a fixed price. Buy and get one or more items for free or on discount. Spend and get one or more items for free or on discount. These types of promotions encourage sales without necessarily killing your revenues or basket values. They also encourage shoppers to check out more products, versus just looking at what’s on clearance. Already using Vend? Check out our page for Advanced Promotion Options so you can learn more about how you can implement multi-save and conditional promotions. If you’re running an ecommerce site (and you totally should), free shipping might be a good promo for you. For example, instead of offering free shipping on select orders, Mike says it’s better to offer free shipping on, say, all $100 purchases because the latter is easier to understand. 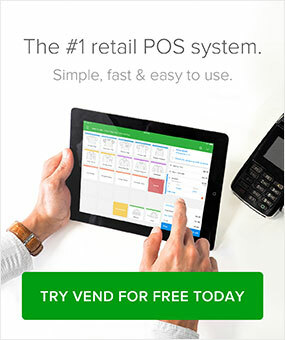 Are you a Vend retailer? Learn how to use our software to implement profitable promotions in your retail store. We talked about the different kinds of sales promotions you could offer. Now let’s discuss the steps you can take to select the right one for your business. Start by identifying your objectives. Do you want to increase foot traffic? Boost your bottom line? Are you trying to make room for new inventory? The answer will help you decide on the right promotion. If you want to draw people into your store, for example, then an attractive discount might be the way to go. On the other hand, if your goal is to move inventory, then you should look into BOGO or multi-buy promotions. Another way to figure out which promo is the best? 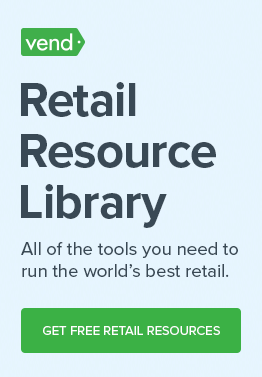 Test different types to see what works best for your store. That’s what Gary Nealon, President of RTA Cabinet Store, did when trying to decide on what promotion to offer. If it makes sense for your promotion, see if you can apply any of these restrictions. Just note that the more hoops people have to jump through, the less likely that they will make a purchase. Avoid setting promotions with no end date, as this will cause people to dilly-dally. It’s best to implement limited-time offers to encourage customers to get a move on. This is one of the reasons why flash sales are so effective. Shoppers know that the promo won’t last long, so they act quickly. Studies have shown that 50% of flash sale purchases happen in the first hour. For best results, add countdowns telling people how much (or little) time they have left to take advantage of your offer. Check out what Habitat did in its store below. In addition to the standard “Sale” signs, they also had “Last 2 days” signage to further drive a sense of urgency. Create your offers around a specific theme. Doing so will make it easier for people to grasp and remember your promotion. An easy way to do this is to piggyback on holidays. Mother’s Day, Memorial Day, Labor Day, and the like can always be used as themes. You should also consider piggybacking on “unofficial” holidays. For example, on National Pound Cake Day, (March 4) BirchboxMan ran a promotion to entice people to “gift” a Birchbox subscription. See if you can do something similar to your promotions. Find a holiday — even an unofficial one — that relates to your business and use it as a hook to draw people in. Got a loyalty program? See if you could make it work with your promotion. If you play your cards right, you could drive member signups and sales. Why not offer a “Welcome” discount to entice new members? That’s what Gymboree does for shoppers who sign up for their rewards program. Check out their coupon below. Or, if you’re looking to encourage spending among existing members, why not run an exclusive promo just for your loyal customers? Turn it into an event. Your loyal patrons will love the exclusivity, and you could gain a lot of sales out of it. If you’re feeling particularly generous (or if you really need to liquidate your stock), consider combining different promotions. Initiatives like “Take an additional 20% off already discounted items” can really grab shopper attention. If you’re selling online, try combining discount or BOGO offers with free shipping and see how your customers respond. It’s best to target your promotions towards specific customer groups. Consider creating customer segments according to gender, age group, or spending habits. For example, if you want to run a sale for a specific brand or designer, you could create a group consisting of people who purchased that brand in the past, then run a promotion specifically for those customers. Or, let’s say you have a group for your VIPs or top spenders. Why not send a special offer just for them? Check out this example from Tiny Prints. The company ran a private sale for its VIP customers, and they sent a special email code to a select group of customers. You can do this through flexible payment options such as lay-away, in which you take a deposit from the customer for a product, then set it aside until the shopper pays it off at a later day. Not a fan of lay-away? Consider using a solution like Afterpay, a “buy now pay later” solution that allows you to receive payment for purchased items upfront while letting your customers pay in four fortnightly installments. It’s interest-free and when paid on time there are no extra costs for your customers. Doing so not only increases conversions, but it also entices your customers to spend more. We’ve found that solutions like Afterpay can boost basket size by up to 20%. Are you in Australia or New Zealand? Check out our integration with Afterpay. With Vend + Afterpay, you can offer a “buy now pay later” service to customers, so they can pay for their purchases in four easy installments. Best of all, YOU get paid upfront, so you’ll immediately have access to the funds. There are no hard and fast rules when it comes to promotions. The “right” one will depend on several factors, including your products, customers, and price points. The key is to come up with an offer that has a high perceived value while not overeating of your profits. It’s a tricky balance, but when you pull it off, you’ll see the results in your bottom line. Now, we’d like to hear from you. What’s your favorite type of promotion? Let us know in the comments.